The rich verdigris patina brass lends itself to the dawn of Spring with its multicolored green tones. 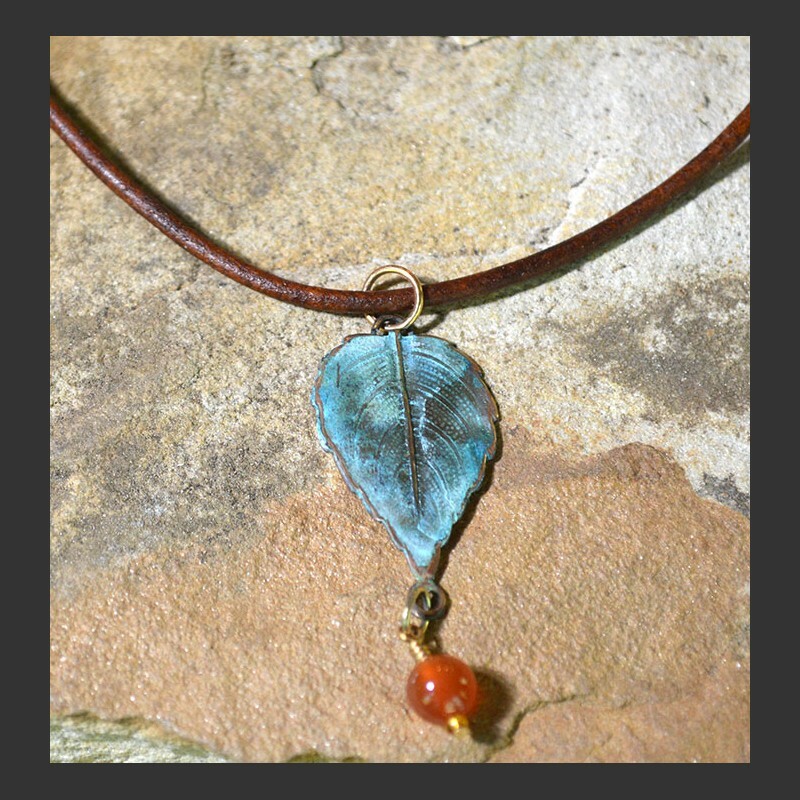 This simple, yet trendy leaf design features a carnelian stone dangling from the tip and is sold on a simple rawhide band. Made in the USA. Pendant Measures: 6/8" x 1 5/8"